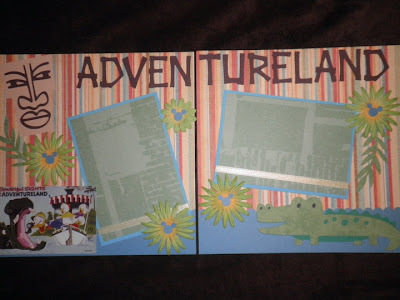 1st Page- I used Mickey & Friends for the film strip and the Mickey ears. "Memories" is cut from Graphically Speaking. 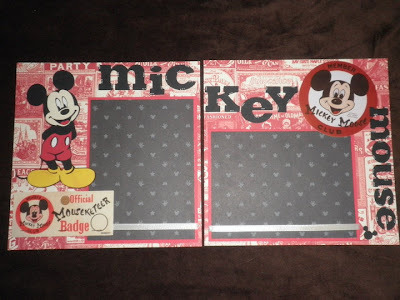 2nd and 3rd pages.. "Mickey Mouse" is cut from Don Juan. 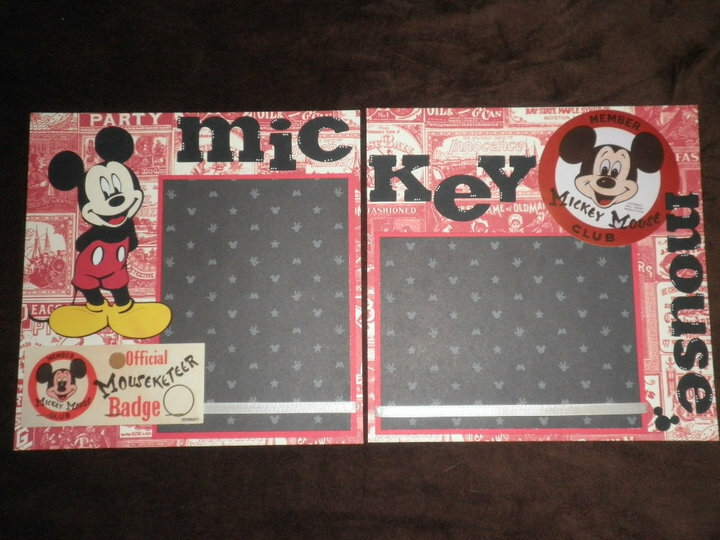 I was pretty pleased with the font and that it looks somewhat close to the Mickey Font since I don't have that cartridge. Mickey is cut from Mickey & Friends. Kept this one simple but I love the look of it and the colors. 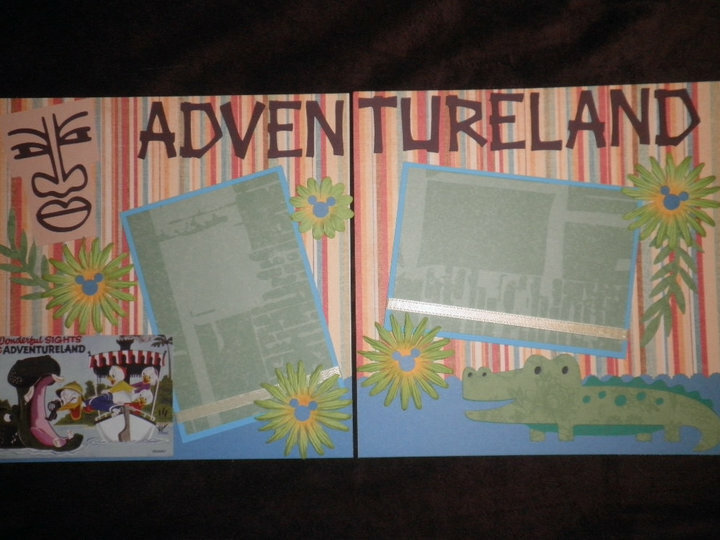 4th and 5th pages.. "Adventureland", Tiki Guy (for the tiki room :) ) and leaves are cut from Lifes a beach. Alligator is cut from Create a Critter. 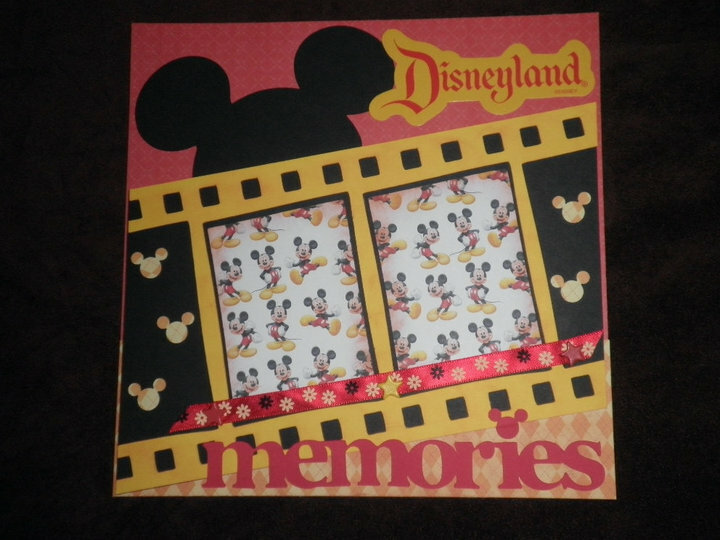 That's so cool, I LOVE the film strip thing, it's such a great idea!